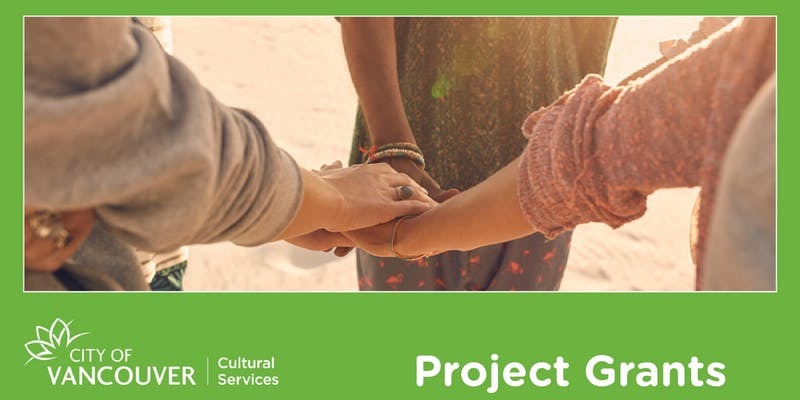 The City of Vancouver has just launched its 2019 Cultural Project Grants—cash grants available to support nonprofit arts organizations with creating, presenting, or producing a one-time creative project, or a time-limited series, or season of artistic events for the public in Vancouver. Cultural Services staff will be conducting a workshop and walk-through of the application form and process on November 20 (RSVP here) as well as information sessions November 6 and 13 (information here). For those who want a leg up in the application process for this very popular funding source, the BC Alliance is excited to offer an exclusive new workshop, facilitated by arts and culture grant-writing consultant Mary Ann Anderson. Entitled City of Vancouver Cultural Projects Program: A Hands-On Grant Writing Clinic, this special session takes place Wednesday, November 21, from 9:30 a.m. until 12:30 p.m. Mary Ann will demystify the grant-writing process and provide a roadmap to success for your Cultural Projects Grant application. This is a great opportunity to increase your chances at tapping into this source funding. For more information, and to register today, check out our Workshops page.